Since diagnosed, I do not recall how many times I tried making gluten free pizza dough, always with the hope that it will taste like the authentic gluten pizza I was so used to. Until I made this one! I know that I was finally happy with this dough because I have been making this over and over now! 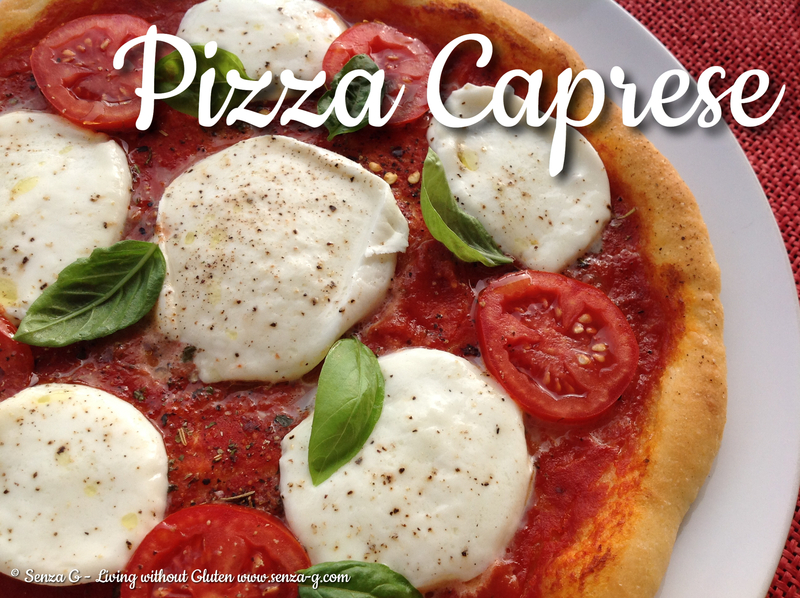 It is so easy to make and it really does taste like wheat pizza! Kindly note that since ingredients in all gf flour mixes vary, you might not have the same result if you use other brands. But if you do try it with other brands, would love to know how it turned out! Pour the water in a bowl, add the sugar and the yeast. Mix until the yeast dissolves.Place the flours in a bowl and mix. Pour in the yeast/water and start mixing until combined, add the olive oil and salt. Keep mixing and then transfer to a floured worktop. Work the dough until smooth. Place back in the bowl and cover the bowl tightly with cling-film. Leave to rise for 3 to 4 hours in a warm place. Take out the dough, work it lightly on a floured surface and divide into two or three pieces depending on how big you want your pizzas. Flatten the dough pieces using your palm on the work surface and then transfer to a baking paper lined tray. Using your hands, keep stretching, pressing and pushing the dough gently, into a large circle. With a pastry brush, brush the edges with a little melted butter. Preheat the oven to 220C or the highest your oven can go.